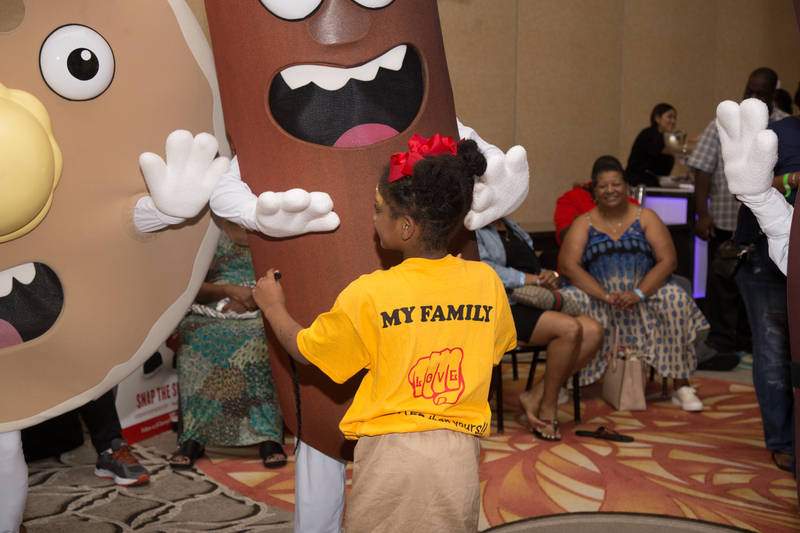 Pancake and Sausage, Denny’s mascots, were extremely popular amongst the crowd at the 2017 Tom Joyner Family Reunion during Denny’s Family Game Night in Orlando, Florida. 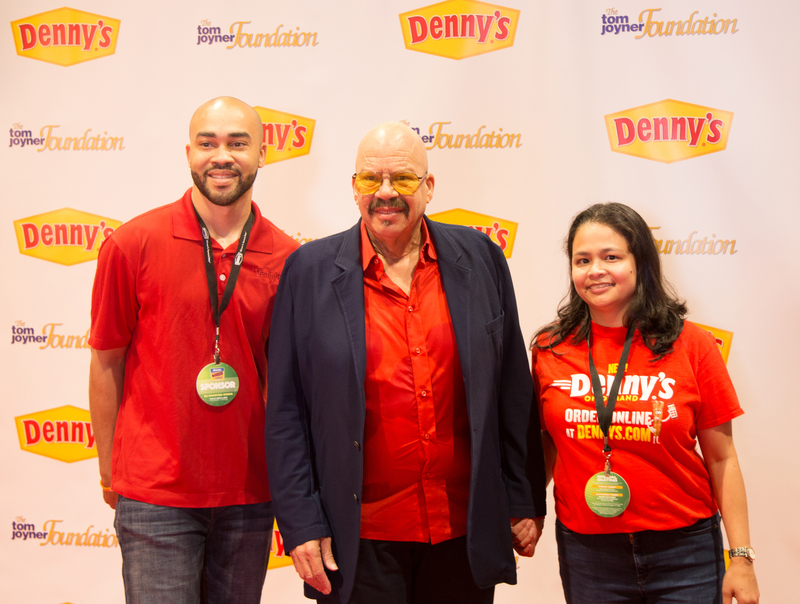 At the 2017 Tom Joyner Family Reunion, Denny’s representatives, Jerome Butler (Coordinator, Multicultural Engagement) and Camille Hammond (Specialist, Menus & Merchandising) are posing for a photo with Tom Joyner, radio personality and Denny’s community partner (center). 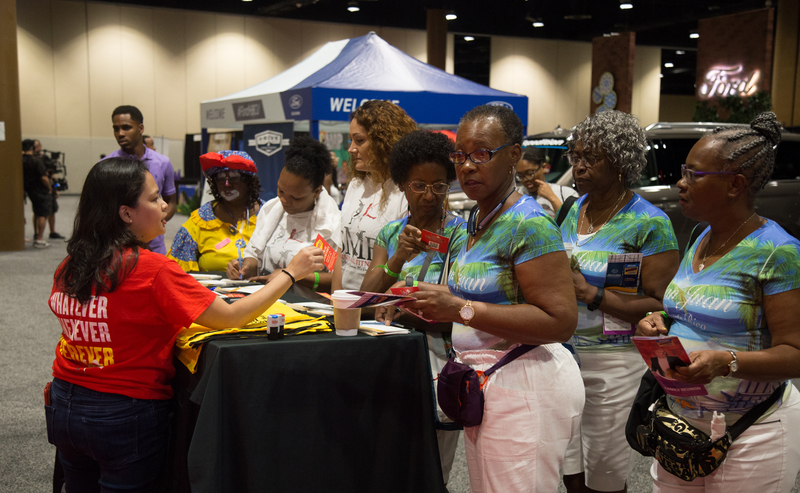 Guests at the Tom Joyner Family Reunion gather at Denny’s table to pick up freebies, to learn about Denny’s on Demand, and simply to have a good time. 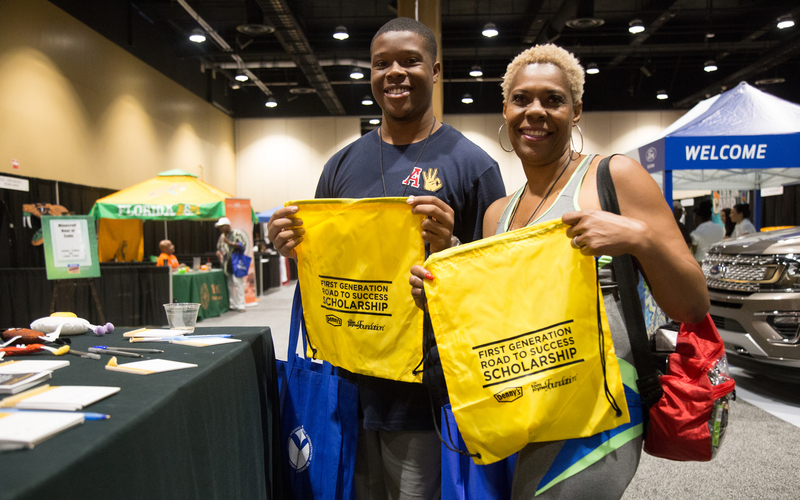 After signing up for Denny’s exclusive Rewards program, guests at the Denny’s booth at the 2017 Tom Joyner Family Reunion are happy to learn about Denny’s First Generation Scholarship Program. Denny’s wanted to make sure that everyone had a good time at the 2017 Tom Joyner Family Reunion; this family has chosen to accept the free ride to and from Denny’s restaurant, a $5 gift card and a photo with the famous Pancake! This couple enjoyed a free shuttle ride to Denny’s and posed for a photo before returning to the fun at the Tom Joyner Family Reunion in Orlando, Florida! 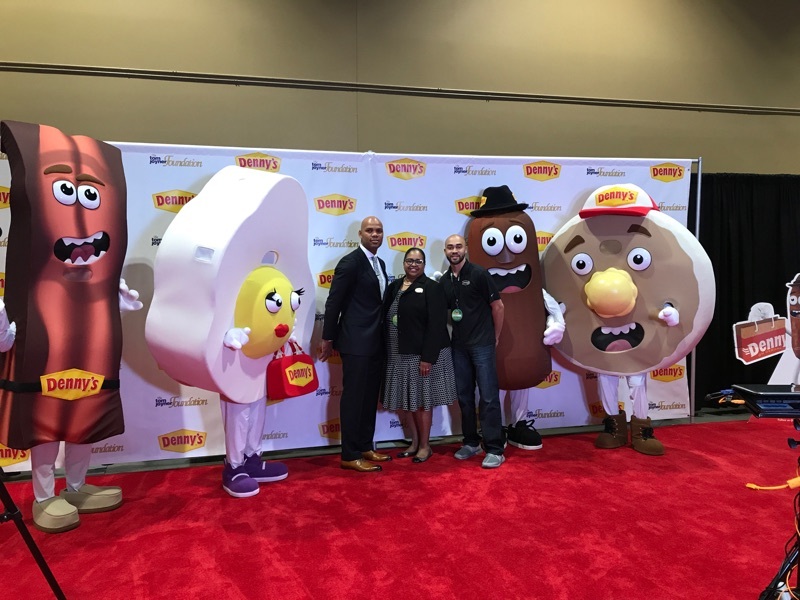 Wilberforce President, Herman Felton visits the Denny’s booth and poses for a photo with April Kelly-Drummond (Director, Diversity Affairs and Multicultural Engagement) and Jerome Butler (Coordinator, Multicultural Engagement) during the Denny’s sponsored Tom Joyner Family Reunion. Nationally syndicated radio host and philanthropist, Tom Joyner , Thomas Joyner Jr. (CEO of the Tom Joyner Foundation) and April Kelly-Drummond (Director, Diversity Affairs and Multicultural Engagement) awards the President of Wilberforce University, Herman Felton, a $25K check to assist with the universities Stabilization Campaign focused on providing updates to the university’s infrastructure and equipment . 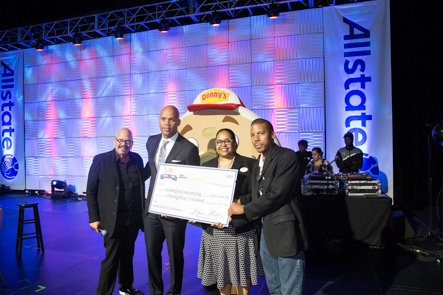 Denny’s and Wilberforce University partner together through the Hungry for Education Scholarship Program along with the Tom Joyner Foundation.